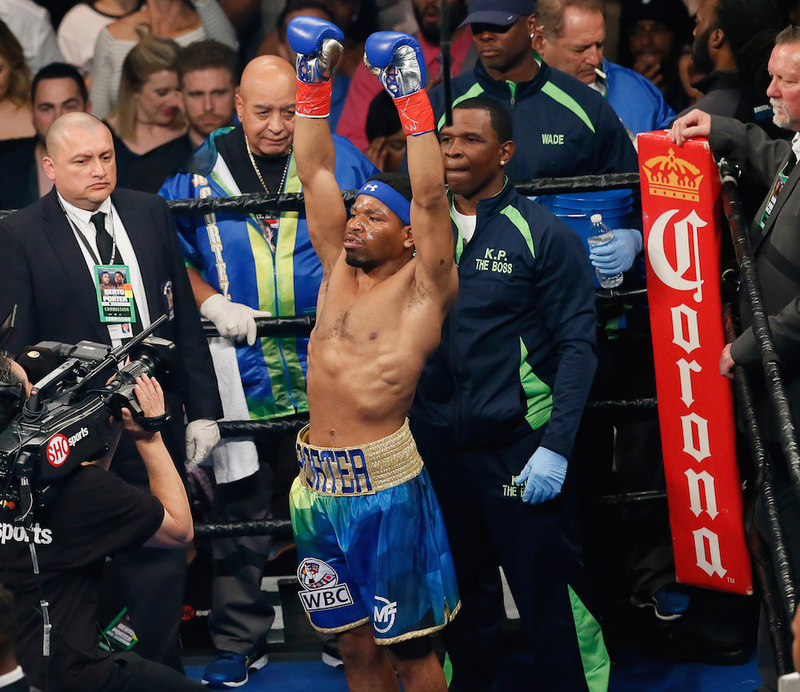 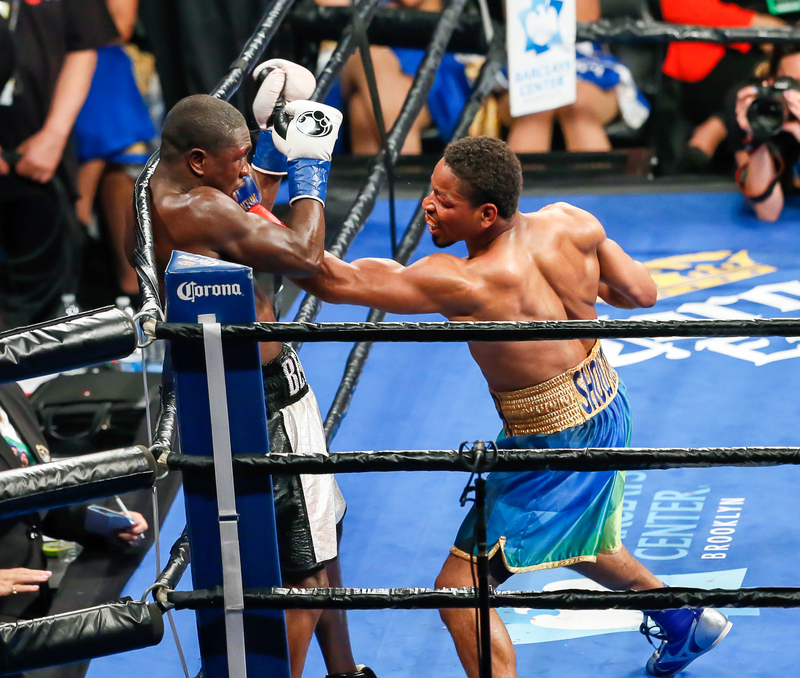 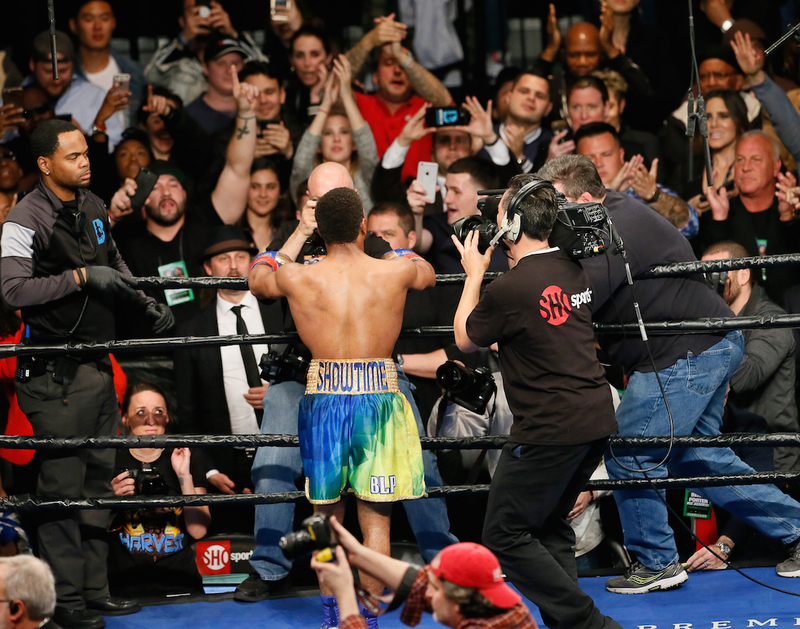 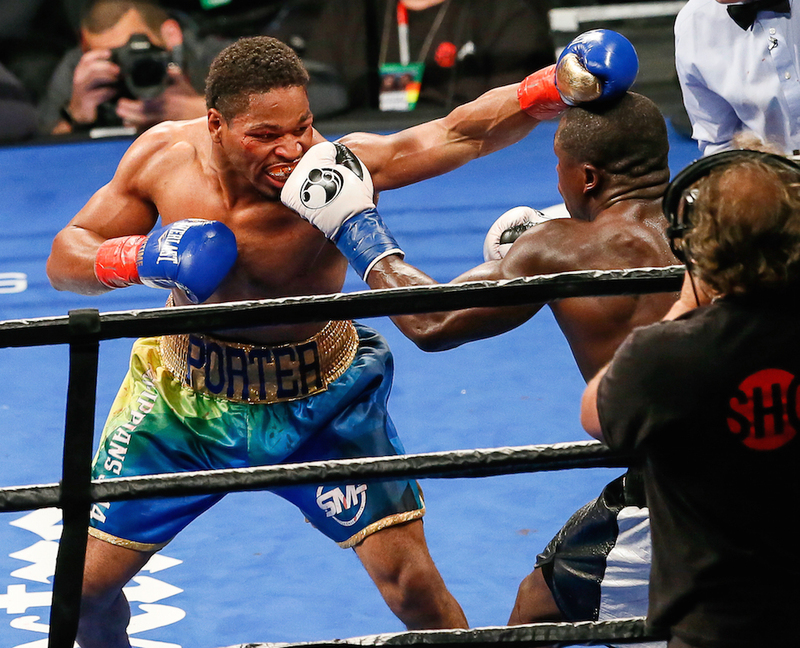 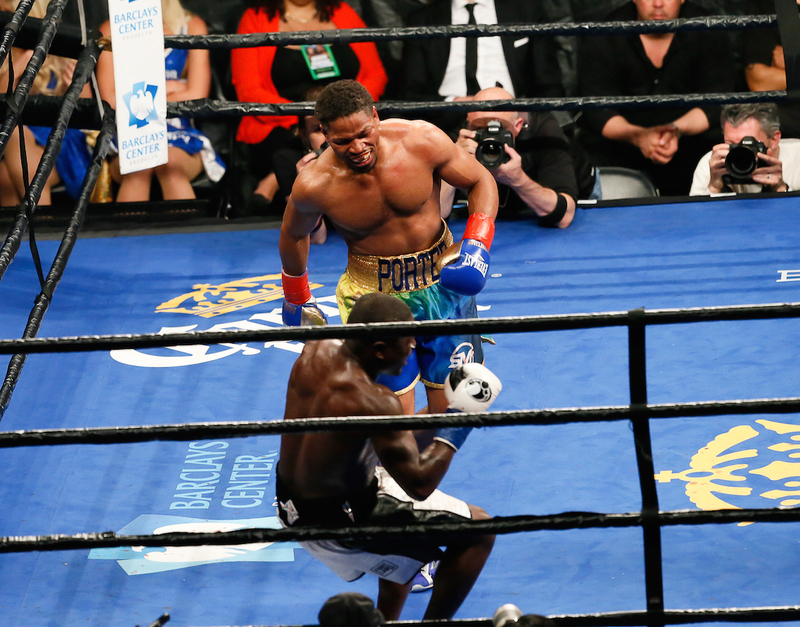 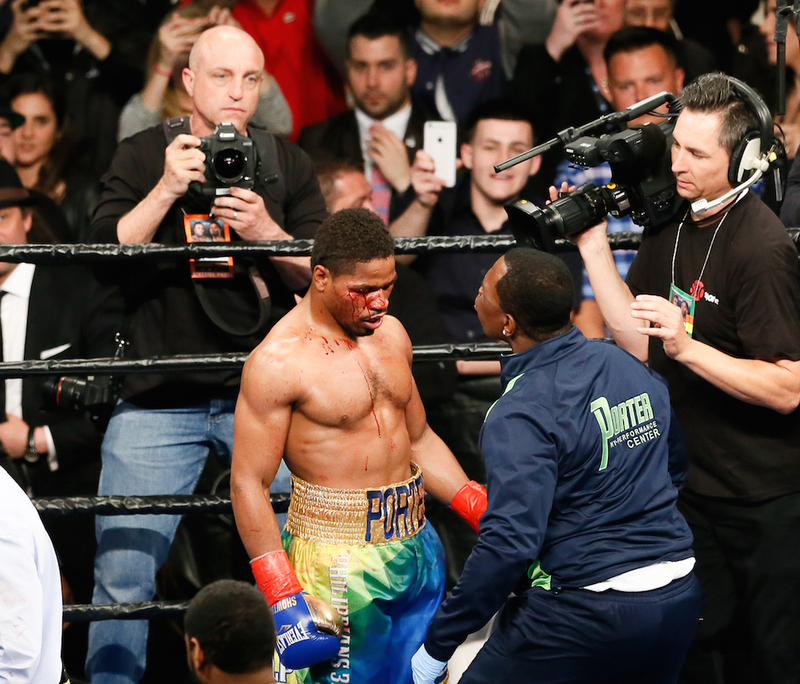 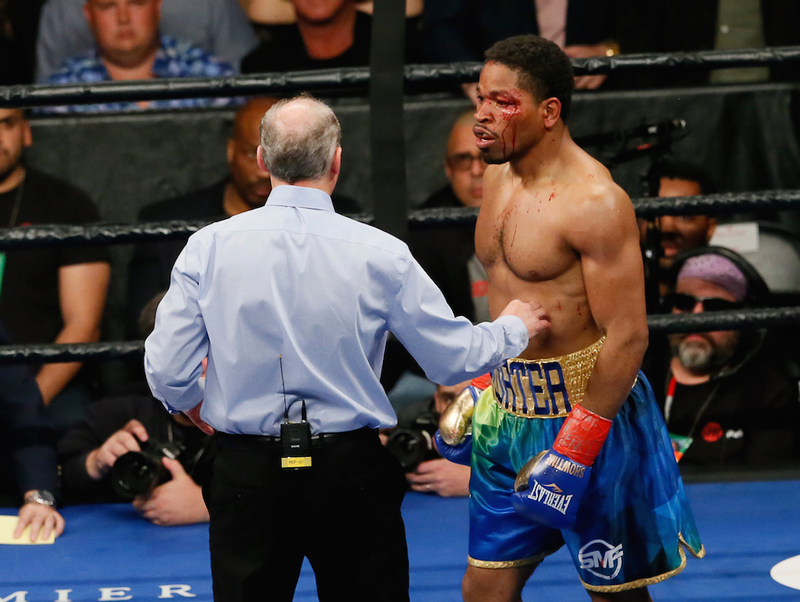 BROOKLYN, N.Y. — Almost one year after losing the biggest fight of his career – and in the same arena no less – Shawn Porter had the opportunity, with a win Saturday night, to recreate that huge fight night in which he came up short in 2016. 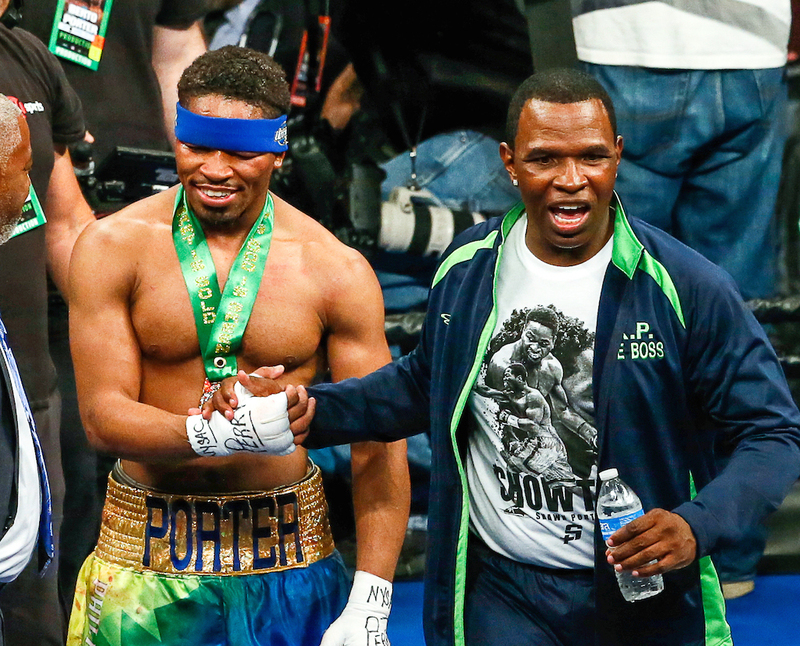 Porter did not waste the opportunity. 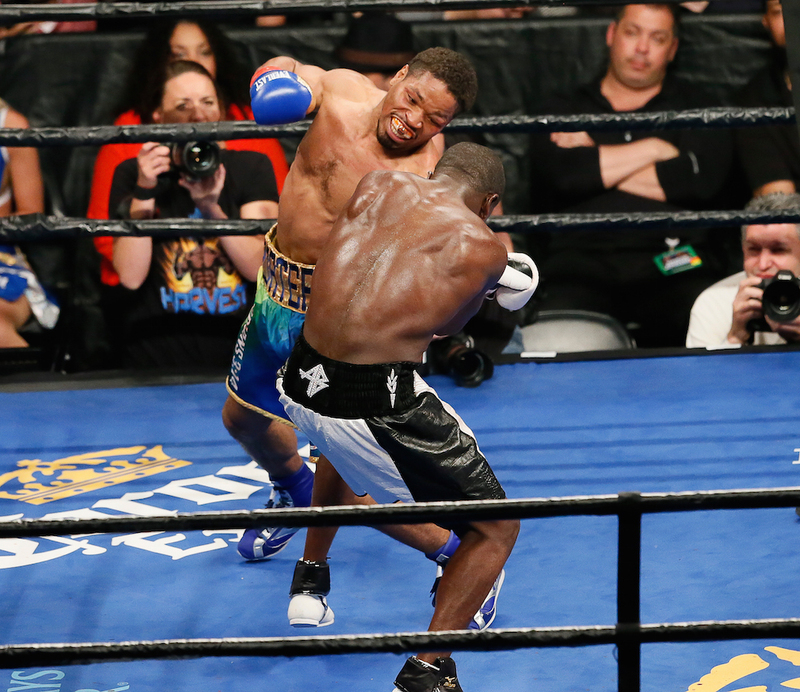 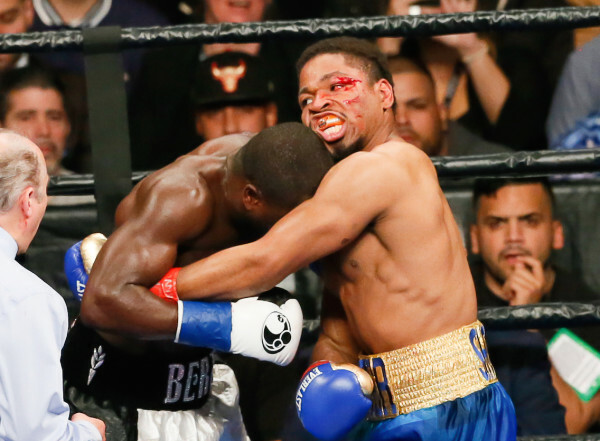 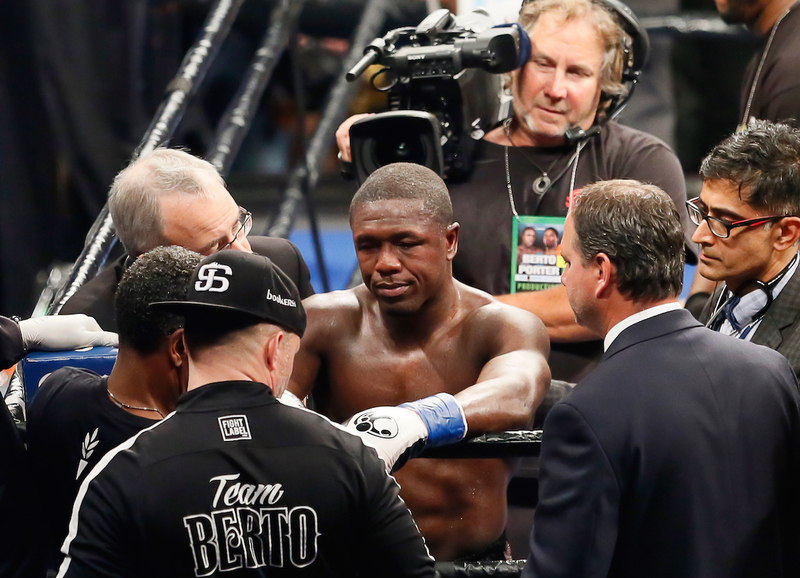 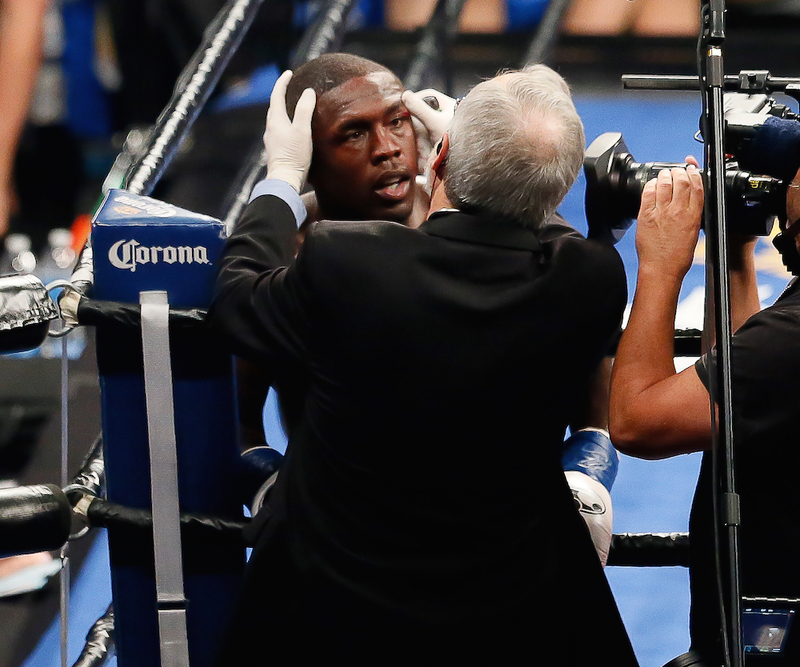 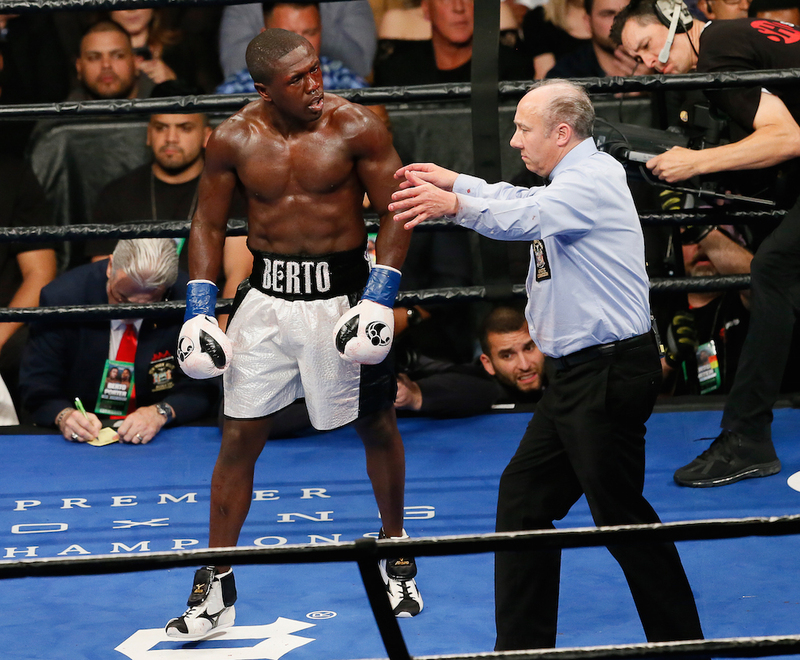 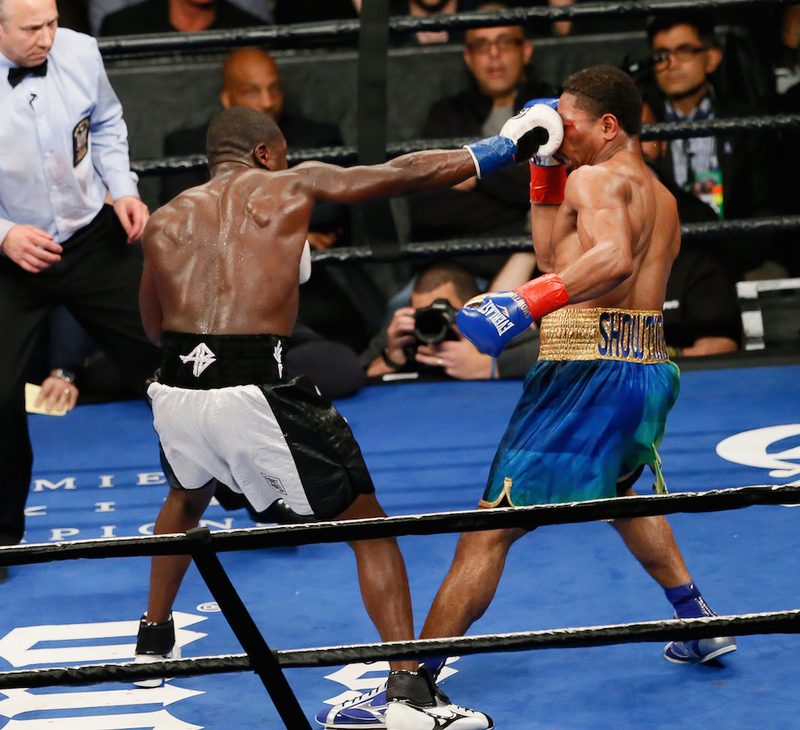 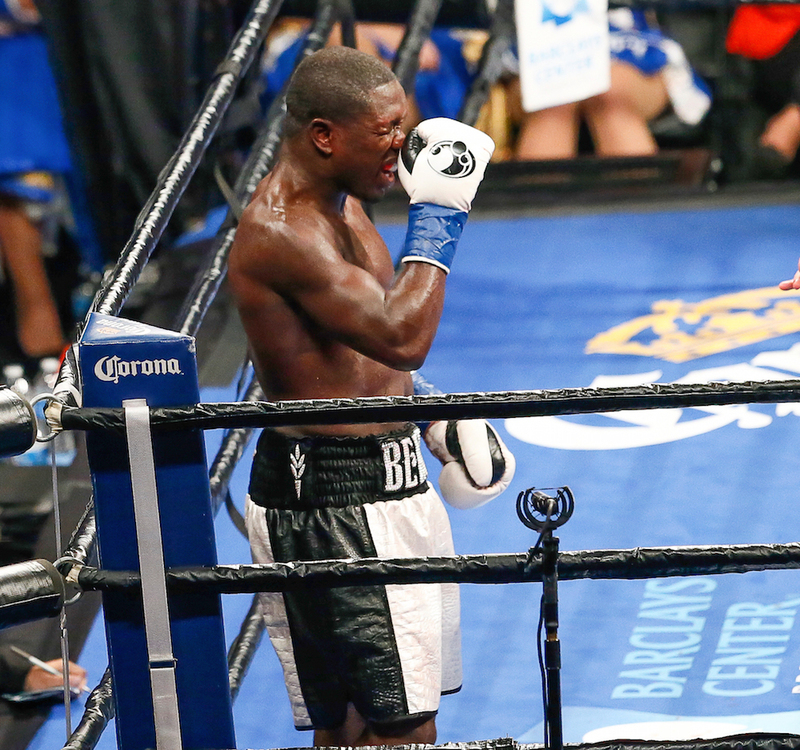 In a 147-pound welterweight title eliminator, Porter smothered former welterweight champion Andre Berto all night long before recording a ninth-round TKO in the main event at Barclays Center. 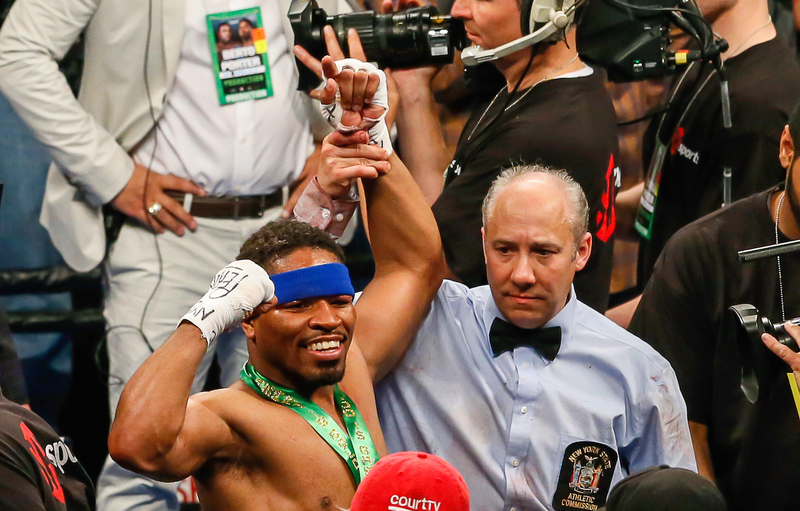 With the win, Porter now becomes the mandatory challenger to Keith Thurman, the current WBA and WBC welterweight title holder who defeated Porter by unanimous decision in Brooklyn last June. 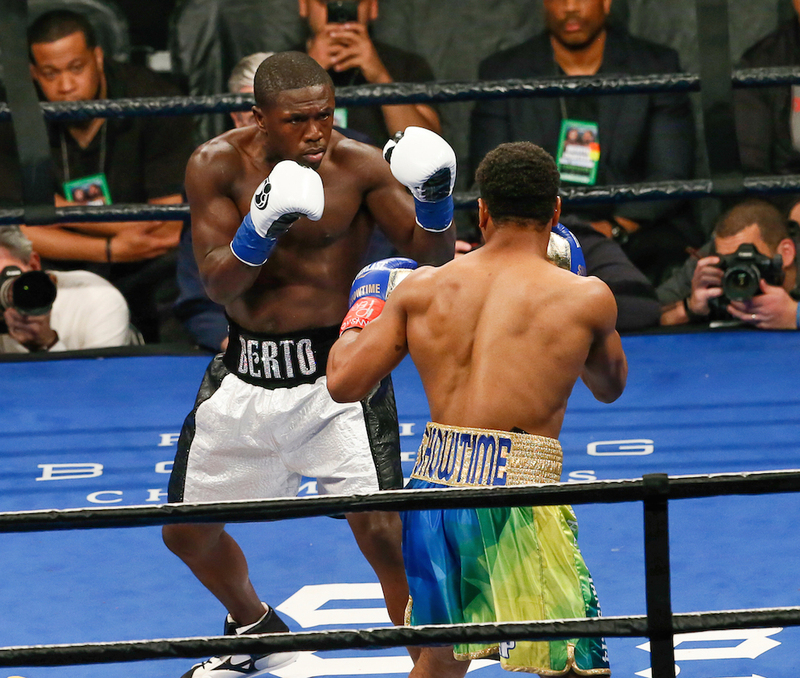 From the beginning of the fight, Porter’s intentions were clear: fight on the inside, blunt Berto’s explosive, lightning-quick firepower and make the fight be contested in a phone booth. 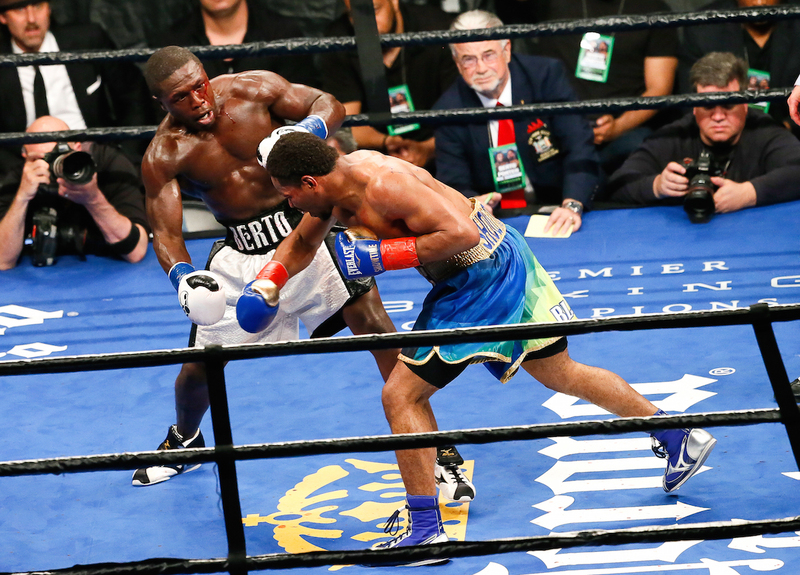 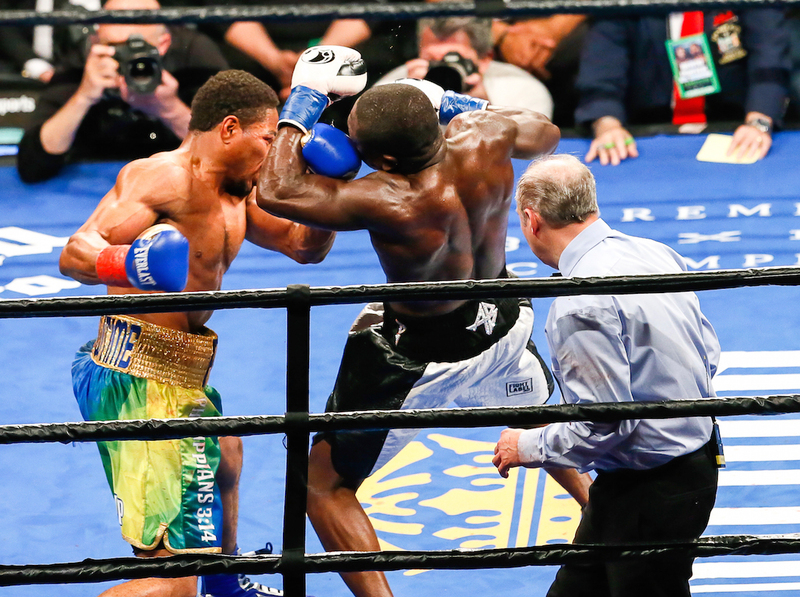 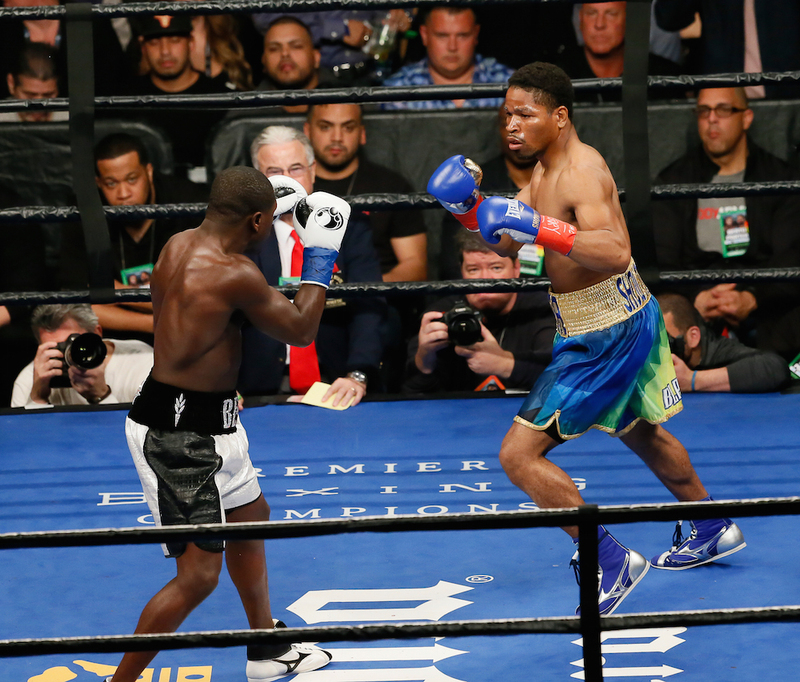 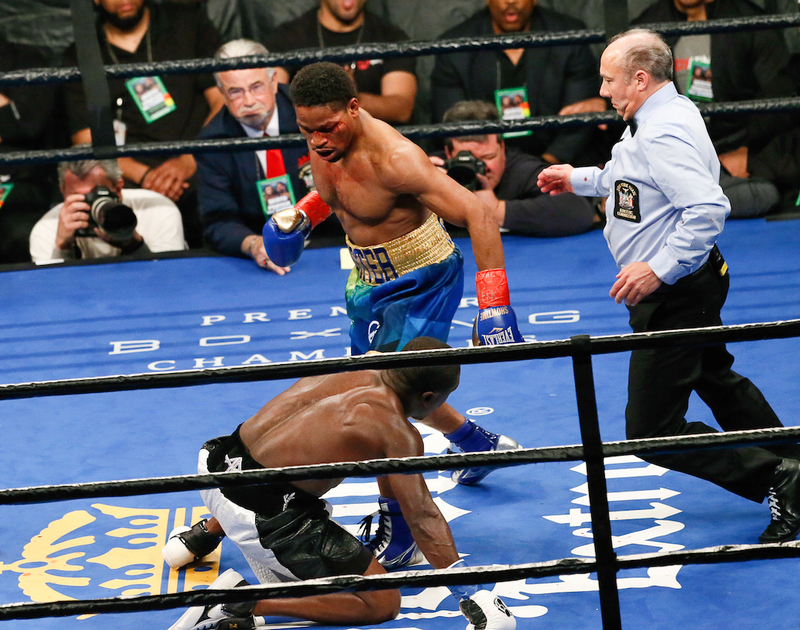 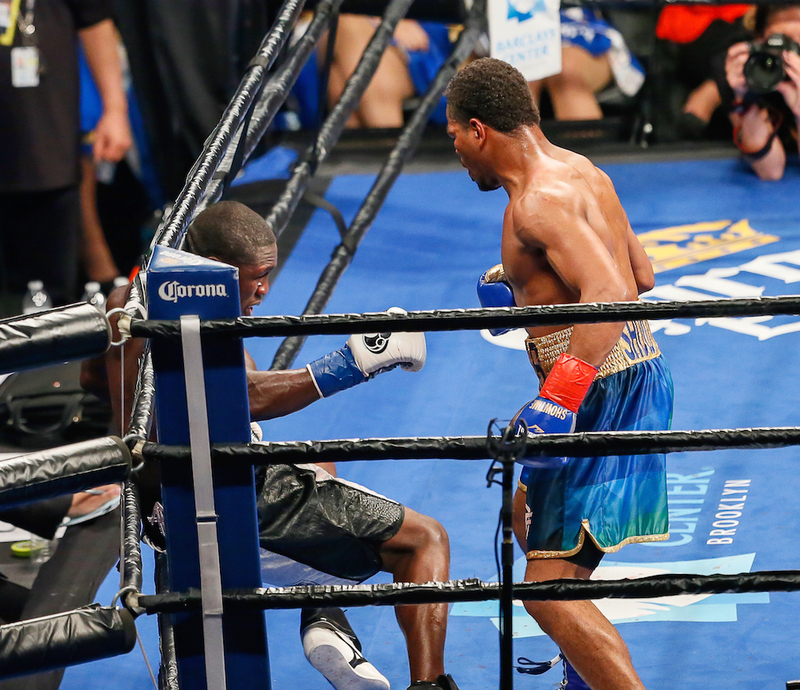 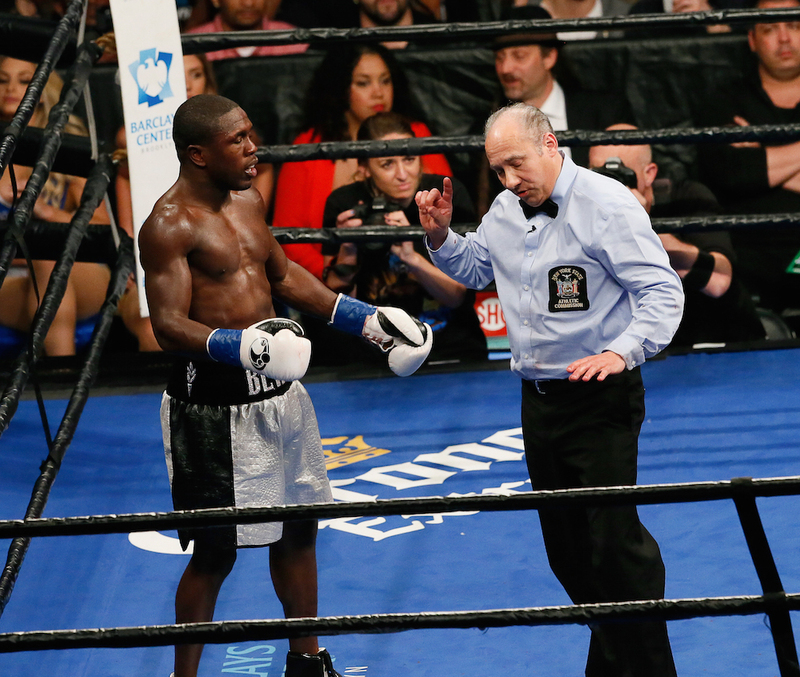 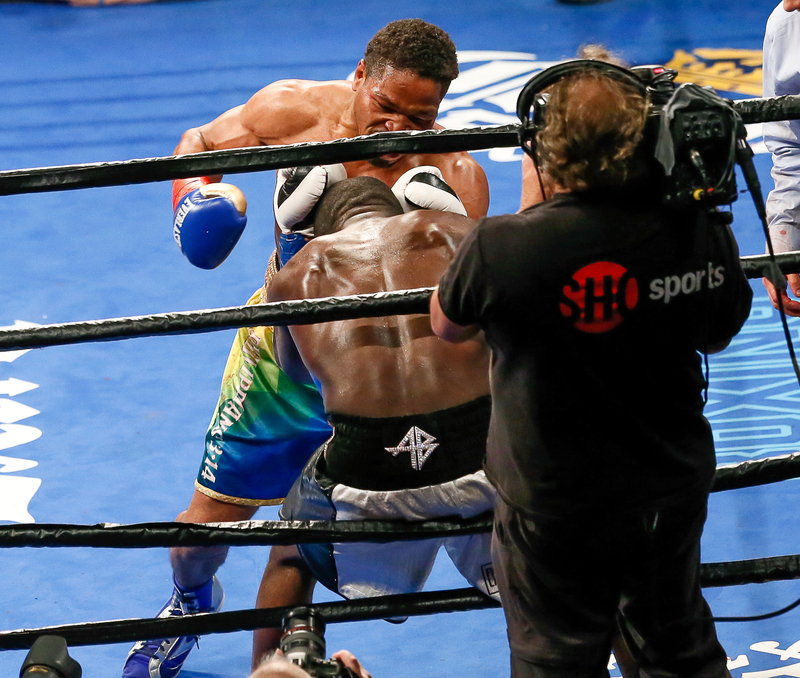 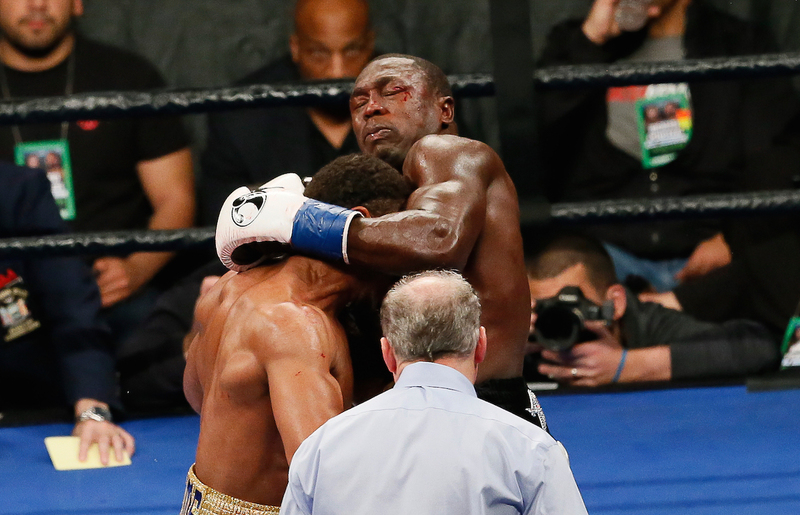 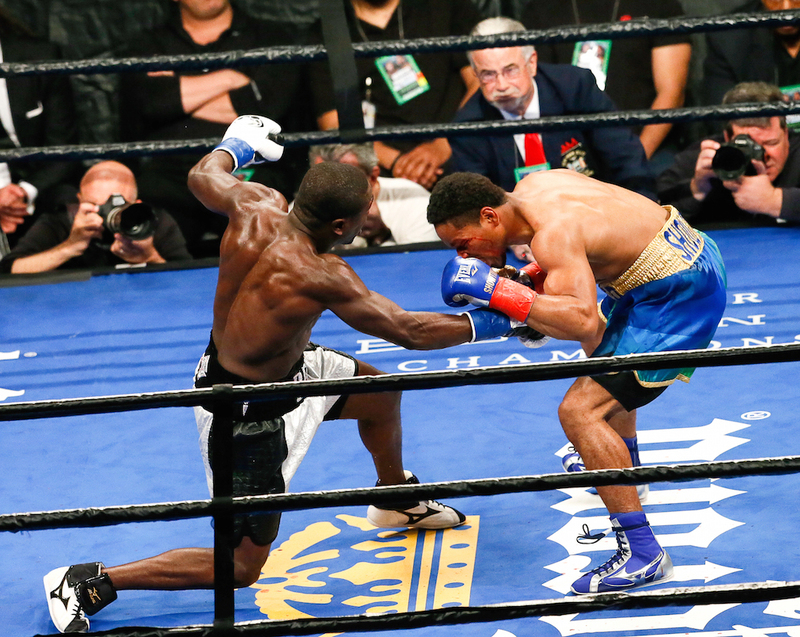 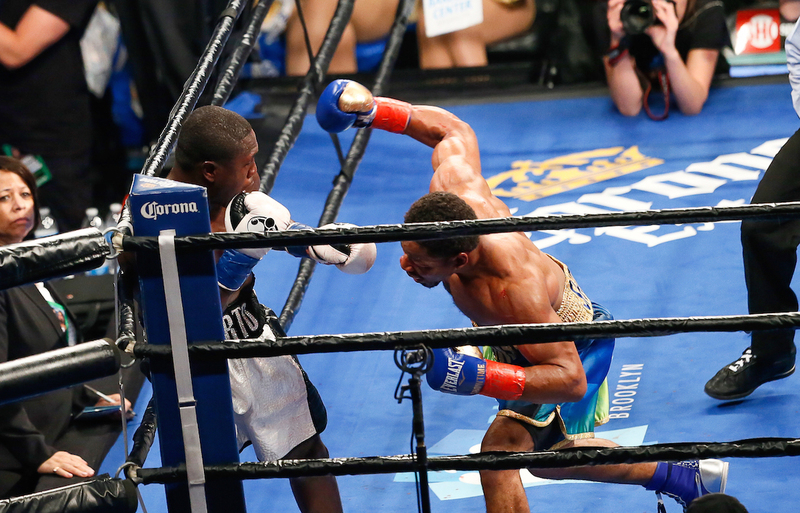 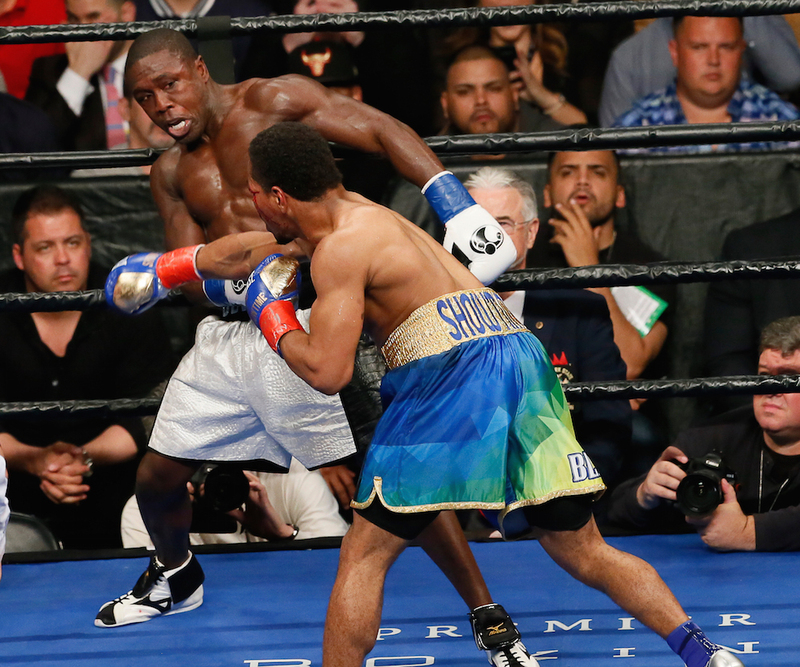 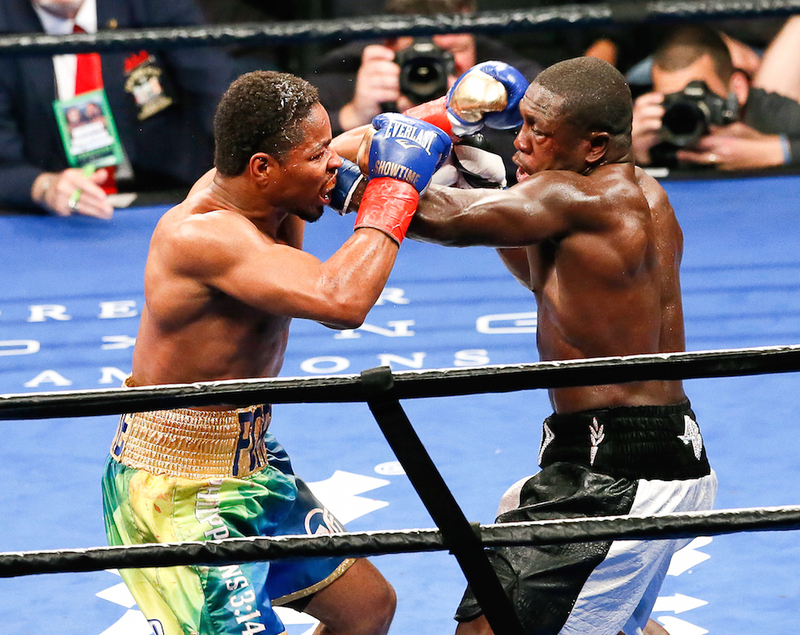 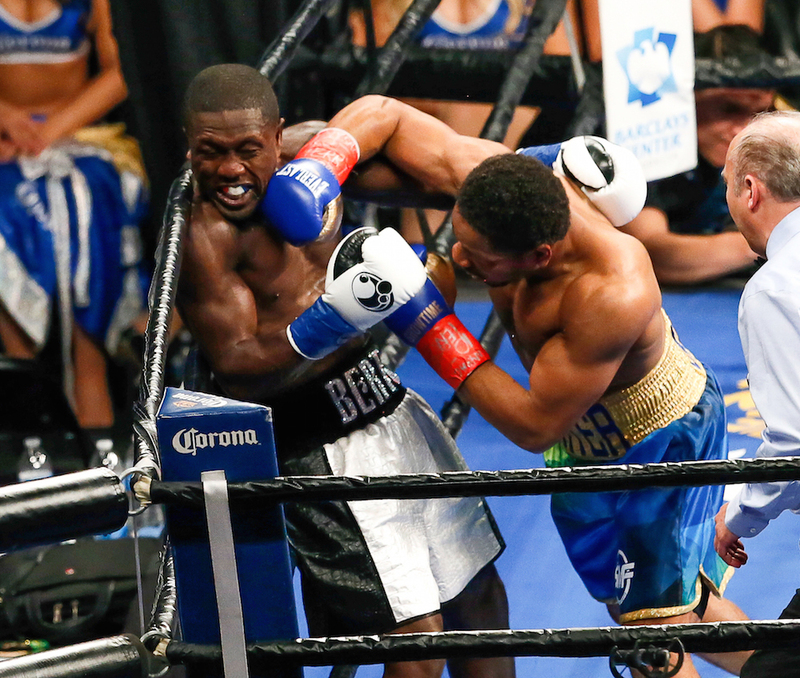 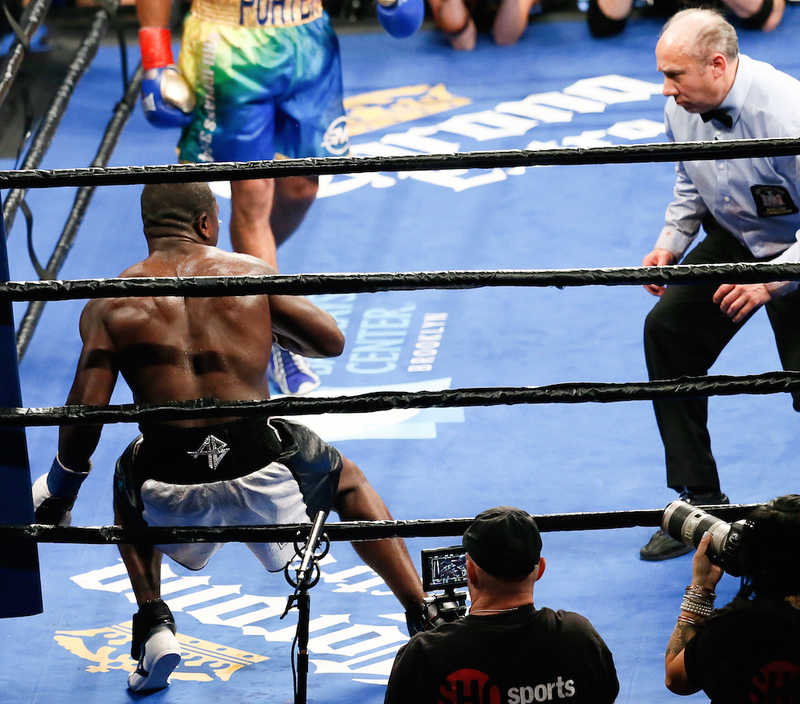 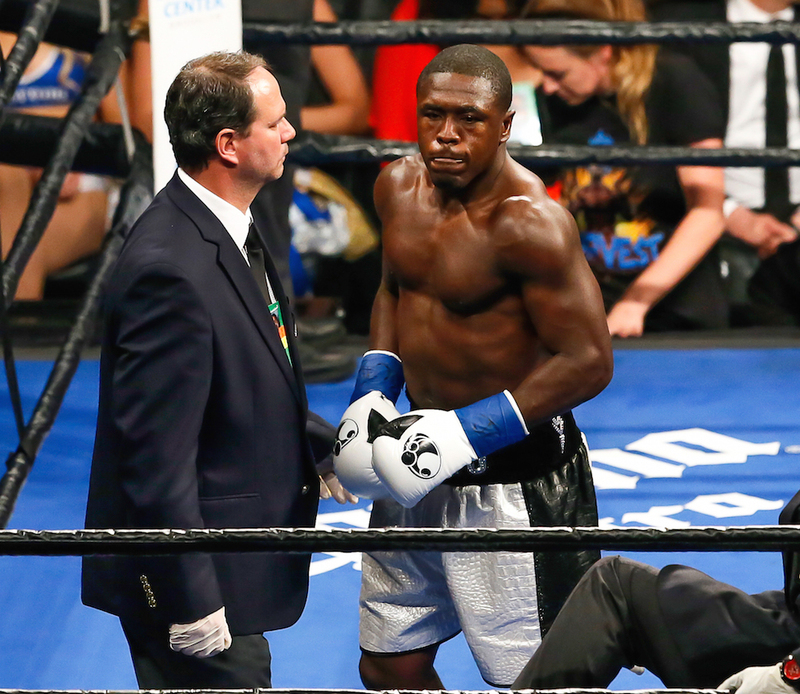 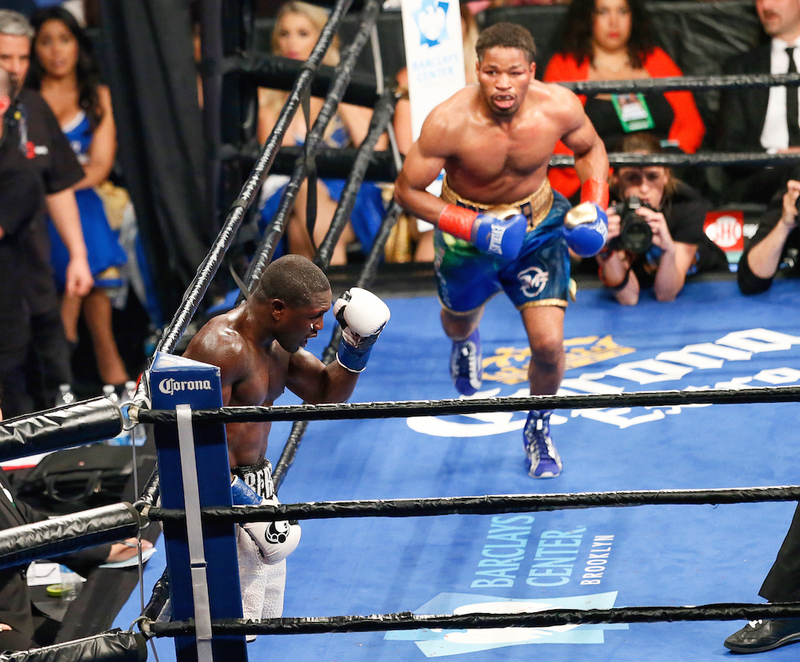 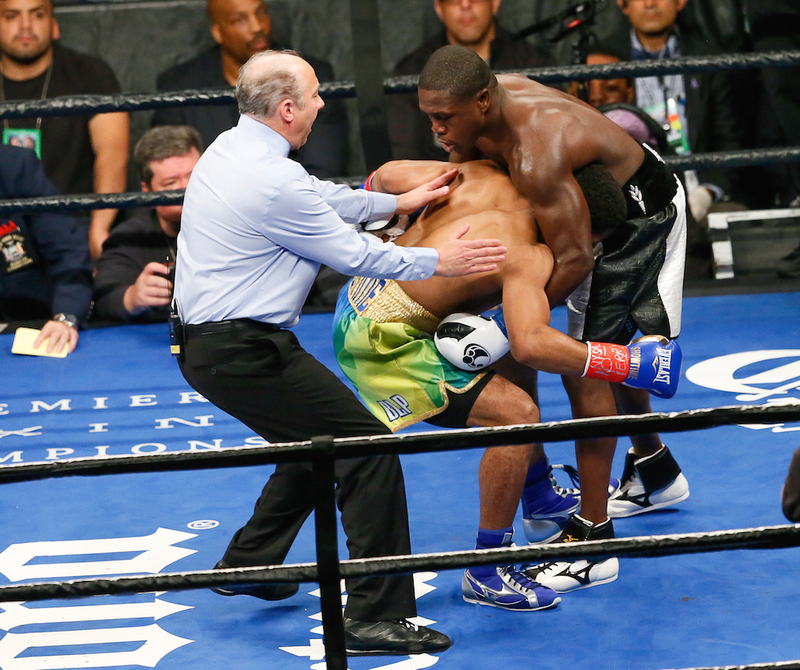 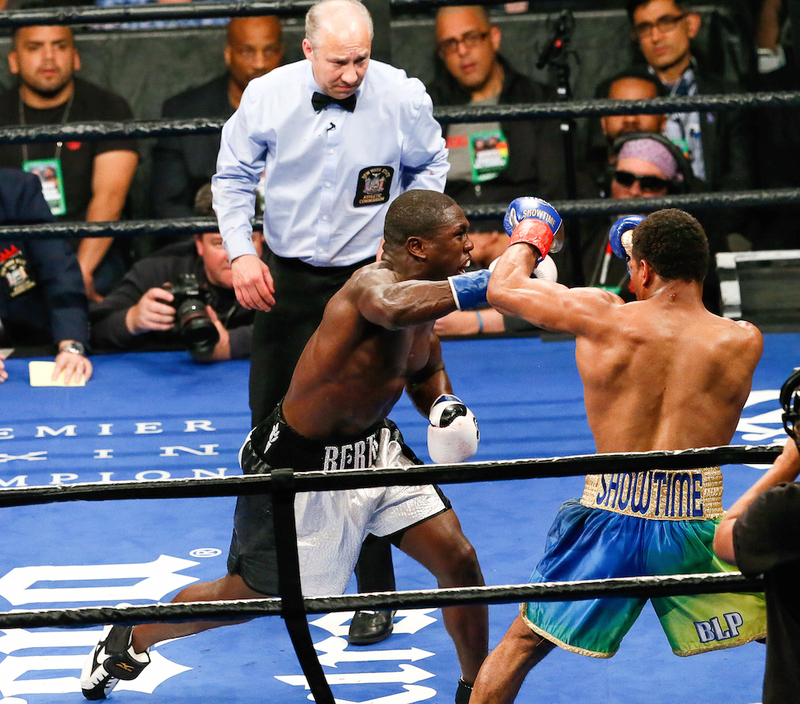 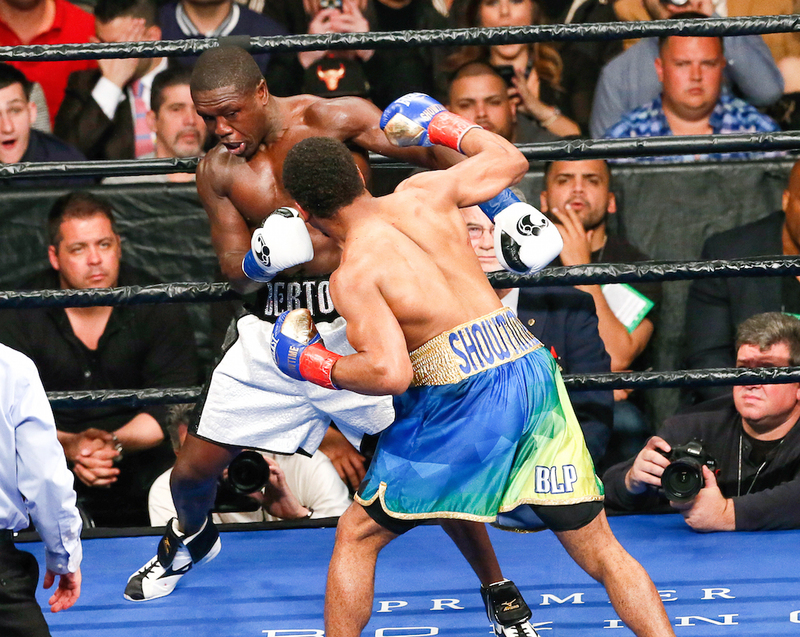 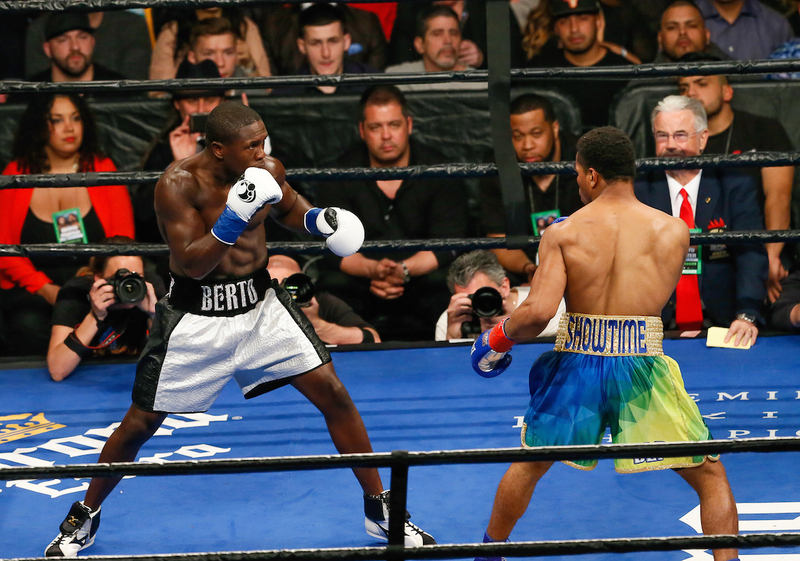 The strategy started to pay dividends in the second round, with Porter recording a knockdown of Berto. 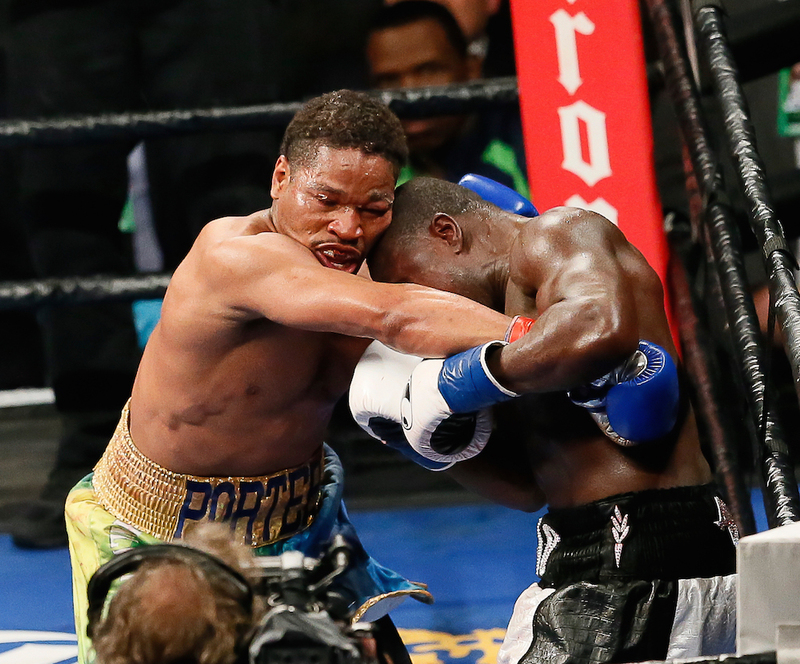 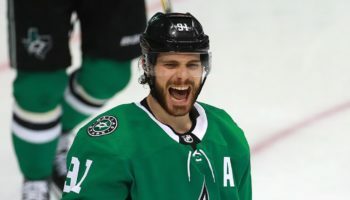 Also in the second round, Porter’s in-close strategy caused a series of head-butts, with Porter suffering a nasty gash above his left eye due to one of the head-butts. 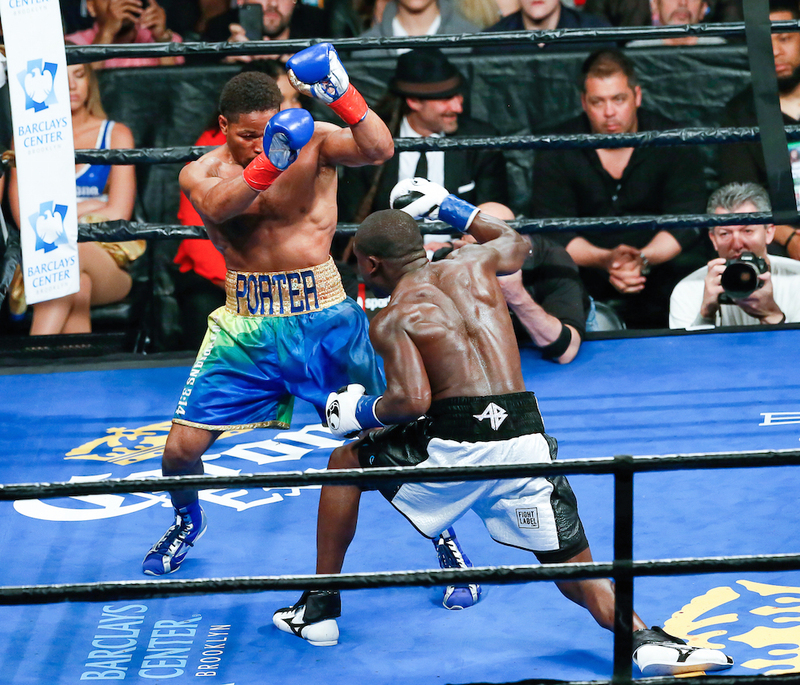 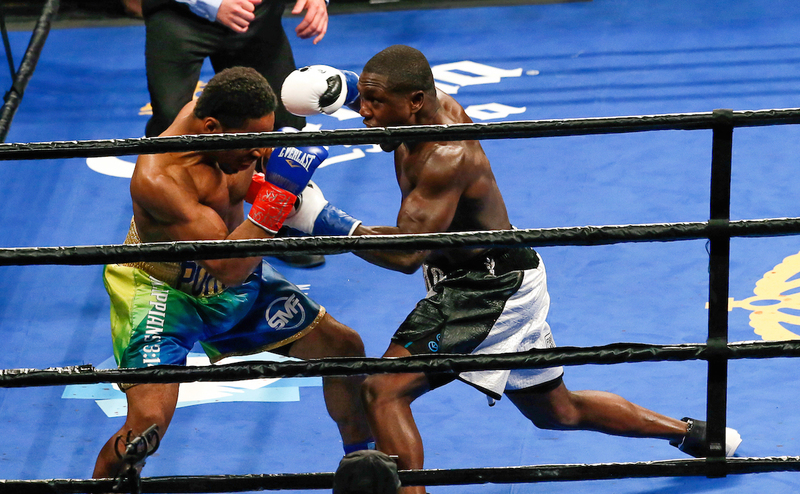 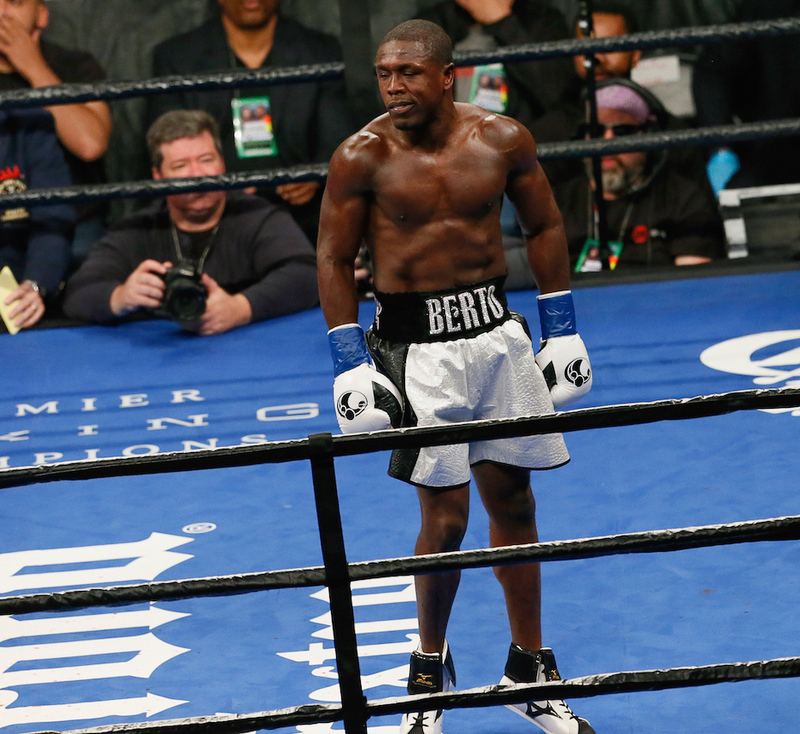 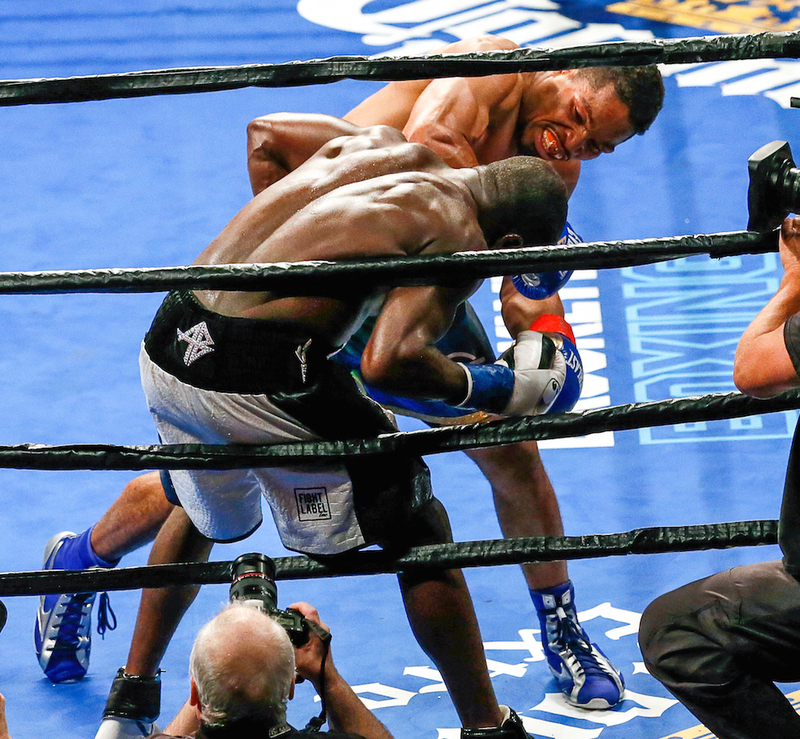 Despite that, Porter was relentless in cutting off Berto and continuing his assault in tight. 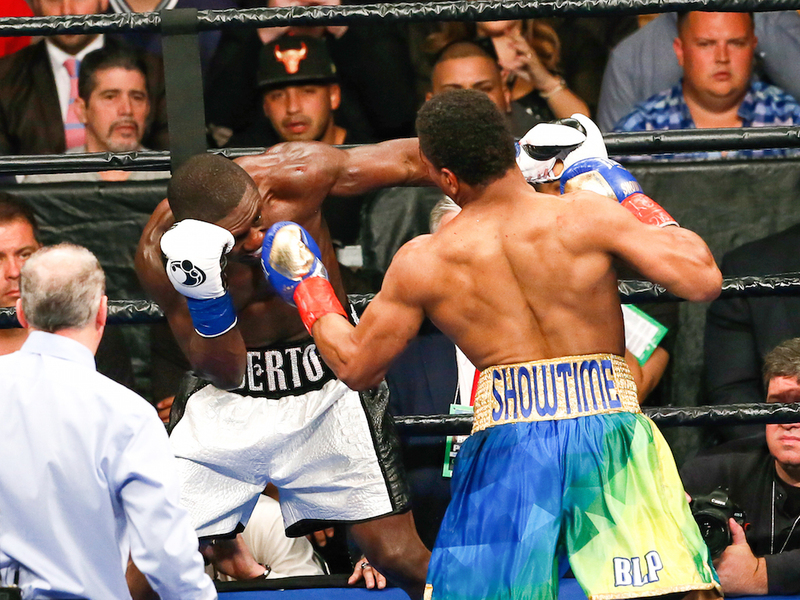 After tonight’s win, it’s possible that Porter’s next fight will be with Thurman, who was ringside and entered the ring after the match. 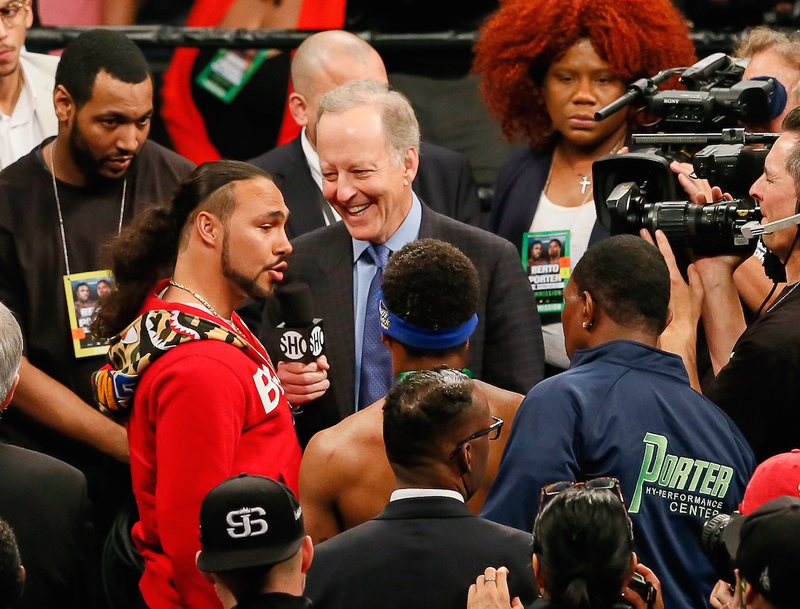 Thurman also has intentions in setting up a match with Manny Pacquiao, so the Porter-Thurman rematch (the first bout between the two was a candidate for Fight of the Year) might be on hold for a little while longer. 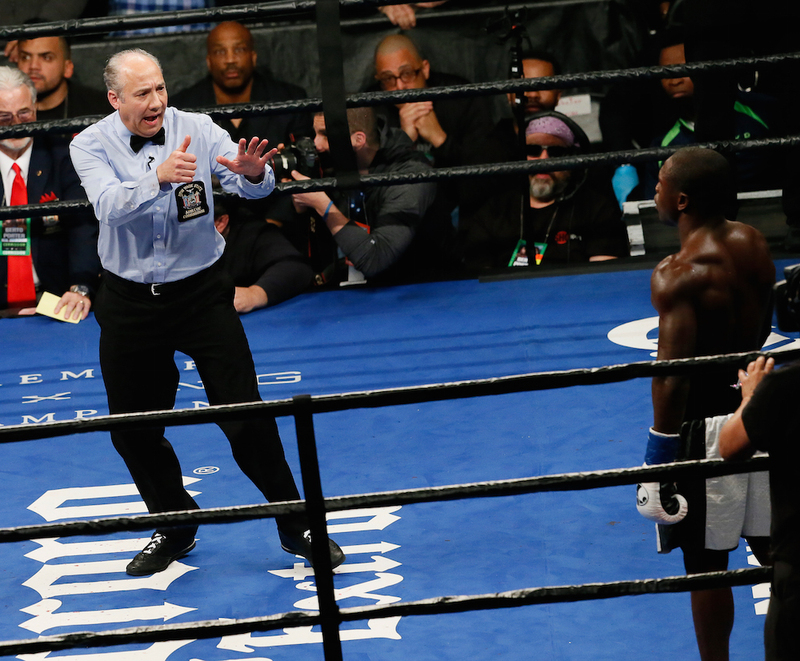 Do you know who else was ringside to be a part of all of the hard-hitting action? 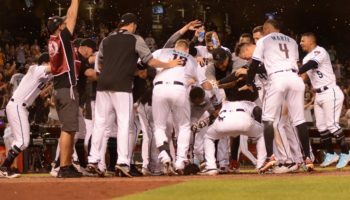 That would be none other than our photographer, Robert Cole, who once again provides A Lot of Sports Talk and our viewers amazing closeups of the action. 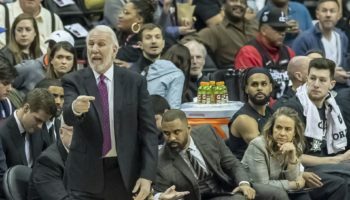 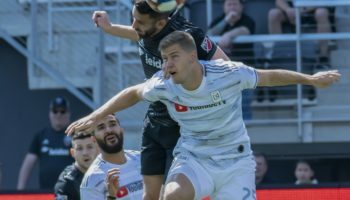 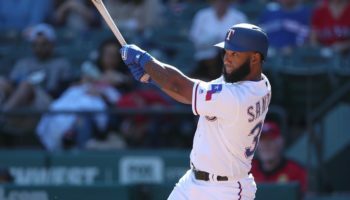 There are 45 photos in this gallery and, after clicking on the first photo to enlarge the picture, make sure to press the left and right arrow buttons to scroll through the rest of the pictures.